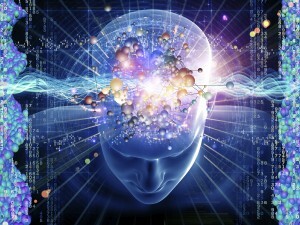 Cognitive science is the empirical study of intelligent systems, including the human mind. An interdisciplinary science, it combines results from biology, computer science, linguistics, mathematics, neuroscience, philosophy and psychology to the study of language processing, perception, action, learning, concept formation, inference and other activities of the mind, with applications for information technology and the study of artificial intelligence. For advising information about the SAS undergraduate major in Cognitive Science, please contact Program Director Dr. Charles Yang. 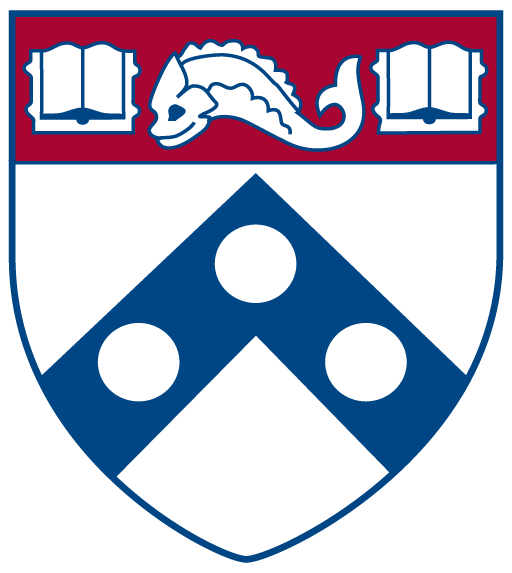 For general program information, please contact Program Manager Jessica Marcus: jmarcus@upenn.edu. Cognitive Science advising is held at 3401 Walnut Street, Room 315C. To access the C Wing of 3401 Walnut, please use the “B&C Wing” entrance, the set of double glass doors located next to Modern Eye. Advising hours for Spring 2019 will be held on Wednesdays from 3:30 to 5:30pm. and NINE credits in a concentration area chosen by the student. The interdisciplinary field of Cognitive Science is surveyed in the following course, which should normally be your first stop if you are interested in the major. It is offered in the Fall term. To ensure more substantive knowledge of the wide-ranging fields that contribute to Cognitive Science, all students must take one course from each of the following six areas. Please note that the courses listed are courses that have historically counted towards breadth requirements; we do not have specific course requirements for the breadth requirements. Most of the PSYC and PHIL classes accepted in the concentrations listed below can be used to satisfy the breadth requirements as well. To determine whether a course meets the breadth requirement for the COGS major, please contact Dr. Charles Yang at: cogs-pd@sas.upenn.edu. Advanced Placement credit will not be counted toward the major requirements. The Program Director advises students when they are first considering the major and while still fulfilling the breadth requirements; handles administrative duties such as major declaration and certification; and is the final authority in all matters relating to the major requirements. To determine whether a course meets the concentration requirement, please contact Dr. Charles Yang at: sas-cogs-pd@sas.upenn.edu. Cognitive Science has become even more interdisciplinary as the field matures. We recognize the importance of specialized skills, especially those honed in the biological, economic, computational and mathematical sciences, in cognitive research, education, and application. At the same time, we strive to ground our program in the empirical studies of cognition in Linguistics, Psychology, and Neuroscience; tools are important, but we also need to know what they are for. In light of these considerations, we broadly limit technical courses —- generally in Biology, Chemistry, Computer and Information Science, Economics, Mathematics, Networked & Social Systems, Statistics, etc. -— to no more than 4 among the 9 concentration credits. A technical class is one which provides useful background for the student’s concentration, but contains no or virtually no content on the empirical study of cognitive science. For students in the Computation and Cognition concentration, a fifth credit in Artificial Intelligence, or other topics directly related to human cognition, may be allowed upon approval. Those four credits are usually drawn from the list of courses below; for suitability of courses not listed below, please contact the Program Director. We would like our students to maximize their educational experience in the Cognitive Science Program by forming a deeper understanding of some select topics or themes. To this end, we suggest that the course selection, similar to other Majors, consists of a mix of lower-level introductory classes and higher-level advanced courses, including graduate level courses (subject to prerequisites and/or instructor’s permission). We especially advise against taking introductory classes that have significant overlapping materials, including similar courses that are offered in different departments. Please contact the Program Director should these concerns arise during your course planning and selection process. Currently, only the Cognitive Neuroscience concentration has a specific required course: Introduction to Brain and Behavior (BIBB 109/BIOL 109/PSYC 109); but in many instances the advisor will identify one or more courses essential to the track of interest to the student. For example, at least one course in Statistics, such as STAT 111, is strongly recommended to students specializing in Cognitive Neuroscience. The list below indicates courses that have historically been approved for Concentration requirements. The courses in Psychology suitable for Cognitive Science generally have an odd course number; they are courses in the area of Brain, Cognitive, and Decision science, following the research program and numbering convention in the Department of Psychology. Courses that are offered in Fall 2019 are highlighted in the list below. Please note: This is not a list of required courses. To find out whether a course not on this list will be approved for the COGS major, please contact Dr. Charles Yang at: sas-cogs-pd@sas.upenn.edu. • At most, 3 of the 6 credits required for the COGS minor may be counted to fulfill the requirements of another major or minor. • The minimum grade for any course counted toward the COGS program is C-. Students must have a GPA of 2.0 in courses counted towards the major in order to be admitted to the COGS major. • Students who wish to enroll in COGS 301 (Independent Study) or COGS 398 (Senior Thesis) must develop a research plan with their research advisor prior to enrolling in either course. Click here for more information. • Students who wish to receive a degree with honors must have a minimum GPA of 3.5 for courses counted toward the major, and 3.0 cumulative for all courses. The student must also complete a senior-year research project on a topic in cognitive science approved by the Program Director and supervised by the concentration advisor. Credit can be received by enrolling in COGS 398 (Senior Thesis); see the Program Director for details. Typically, a thesis of approximately 30-40 pages is expected.